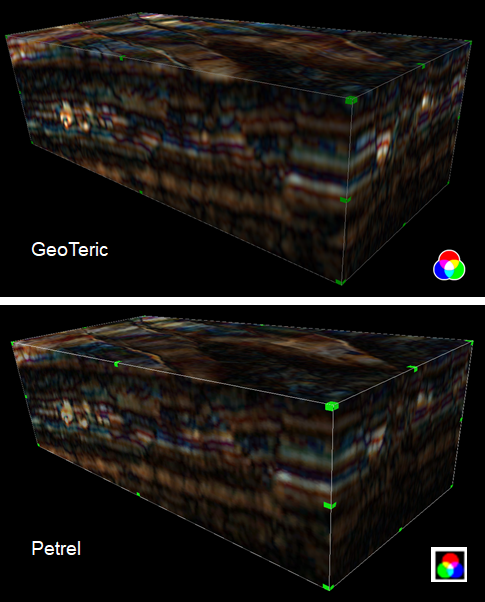 When working with color blends of any type, it is best practice to interpret directly in GeoTeric to maintain quality and color intensity. 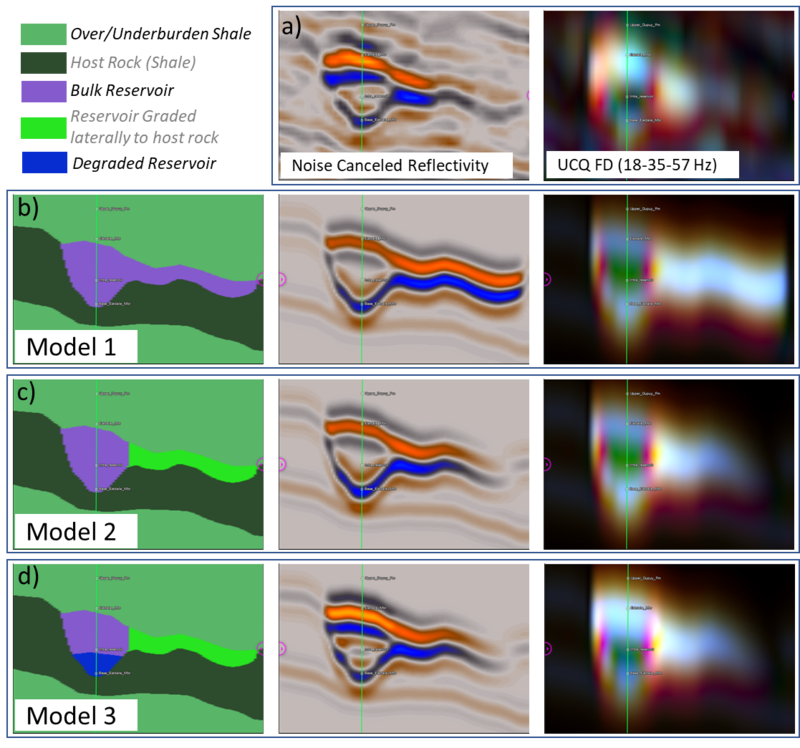 As third-party software differs, quality and visualization will often be impacted following blend transfer. However, we do understand there is often a requirement to transfer color blends to Petrel® and therefore we’ve explored how color blends can be visualized and used in Petrel. 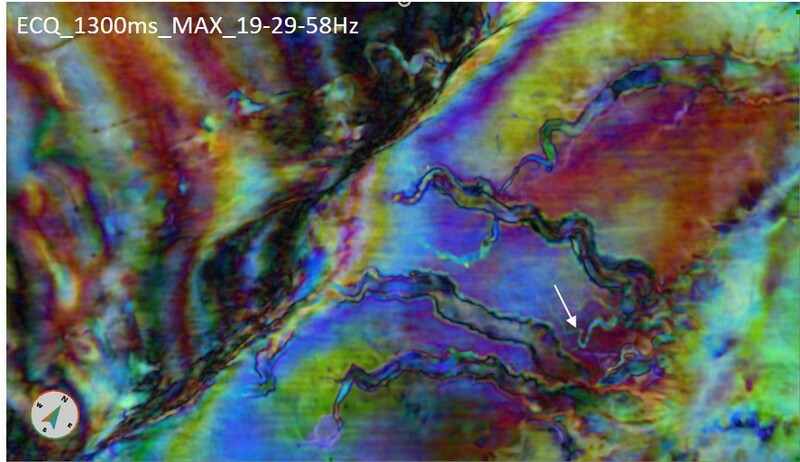 RGB Blends of Frequency Decomposition results are very powerful in revealing fine details of the subsurface, but the amount of information that can be extracted from such blends depends on which band-limited response magnitude volumes are used as an input. Selection of the right frequencies depends on the interval, amount of detail and objective of the analysis. 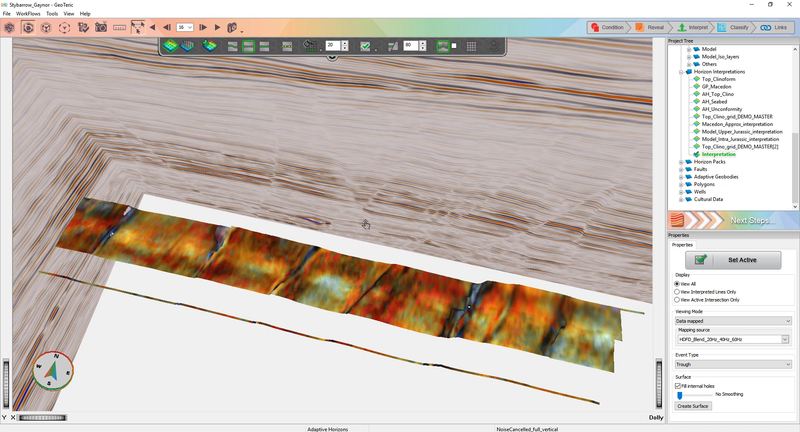 GeoTeric’s Adaptive Horizons tool allows the user to intuitively and interactively edit a tracked surface or interpretation. This is done by identifying the mis-pick in the interpretation, selecting the “3D edit” icon, and re-interpreting the line (we recommend using Piecewise Tracking). This will then update the tracked surface in the surrounding area. The tick-box enables “3D Edit Override”, so any interpreted lines will be removed or overwritten. This is useful when the interpreted lines have been incorrectly positioned by the user.